The University of Hawaiʻi at Hilo Main Campus is located at 200 W. Kāwili St., Hilo, HI, 96720. Join us for a personalized or group Campus Visit. 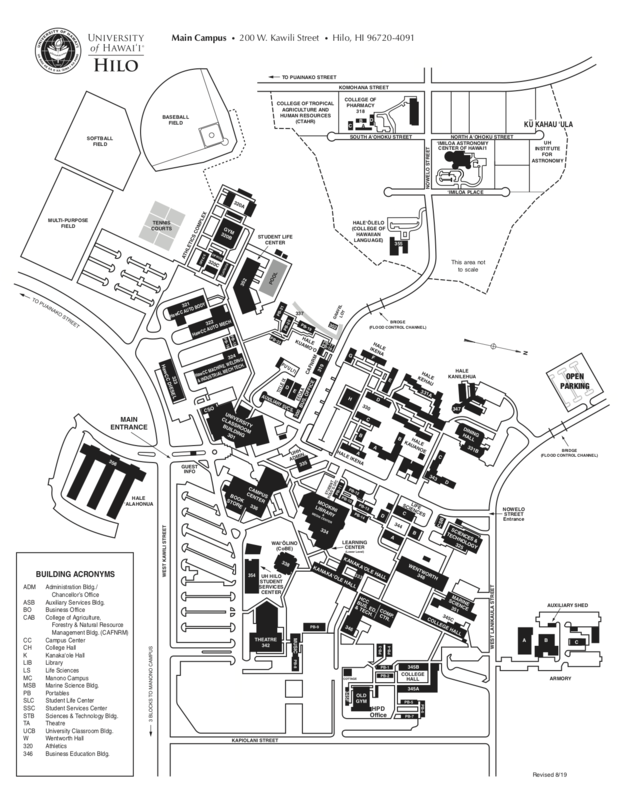 The majority of UH Hilo classes, services and facilities are on the Main Campus. However, classes may meet at several locations across the island of Hawaiʻi, including the Manono campus in Hilo. Bus service is $1.00 to students with a valid student ID card. Additional fees may apply for items. Both Bus Passes and Taxi Share Ride coupons are available for purchase from Mass Transit. 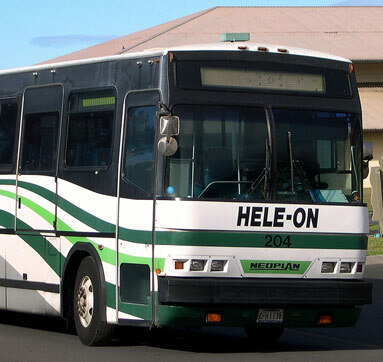 There are buses stopping at UH Hilo each weekday. The last bus to campus from Prince Kuhio Plaza is at 7:05 PM (M-F). The last bus back from Downtown is at 9:30 PM (M-F). The last bus back from Keaukaha is at 4:40 PM (Mon-Sat). There are buses that stop at UH Hilo on Saturdays. The last bus back from Prince Kuhio Plaza is at 7:40 PM (Sat). The last bus back from Downtown is at 8:00 PM (Sat). The last bus back from Keaukaha is at 4:40 PM (Sat). The County of Hawaiʻi Mass Transit Agency provides the Hele-On Shared Ride Taxi Program in the Hilo urbanized area up to a nine mile radius from your point of origin within Hilo. Ace One and Kwiki Taxis has included in their fleet, an ADA Accessible vehicle which will be used for shared ride and regular fares. 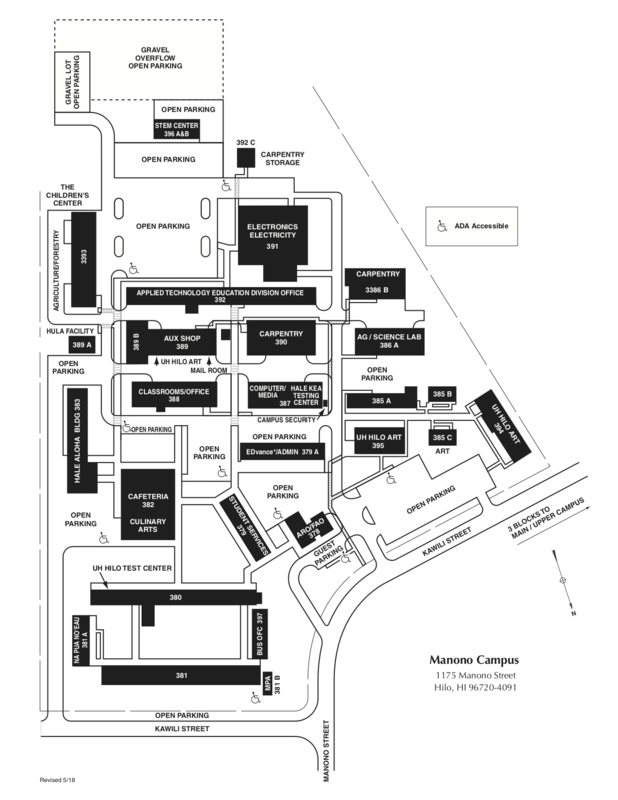 The information below is also available as UH Hilo Buildings in JSON format.